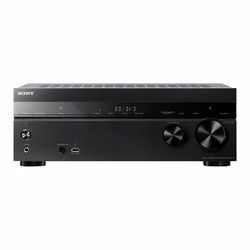 Users who want to assemble a home theater with high-quality sound should understand that without a good receiver nothing will come of them. 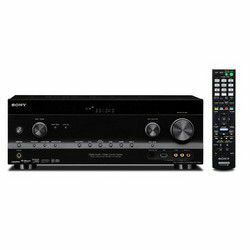 A modern high-quality receiver from Sony will save you from big expenses for the purchase of an expensive TV system, while it will give pleasure when watching TV programs in excellent quality. The point is not only in television. 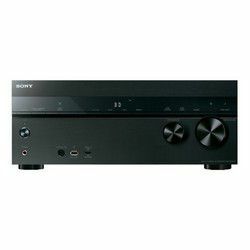 A clean, crystal sound, amplified by the receiver from Sony, filling your home theater does not go to any comparison with conventional speakers. 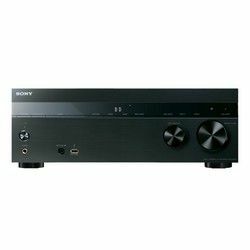 In this regard, the AV-receiver Sony is very interesting. 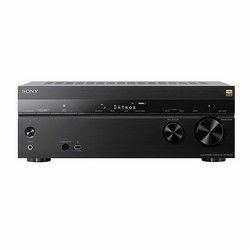 This company is known for its quality devices, so Sony receivers comparison will be observed in this article. 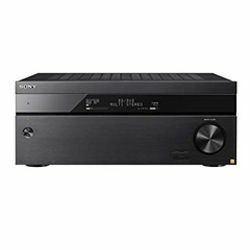 AV-receiver - it's alpha and omega even the most simple cinema. That is responsible for the quality of sound and image. And now I`d like to tell more about some really worthy models, compare Sony receivers to see how good world-wide know brand Sony is. 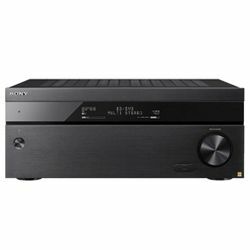 In addition to UHD resolution, all models support the HDR format and surround sound technologies Dolby Atmos and DTS: X. Models are equipped with the technology of autocalibration D.C.A.C. EX, which uses a stereo microphone and evaluates the sound picture at 31 frequencies, emulating the sound of optimally placed speakers. The Phantom Surround Back technology, which is also used in these receivers, creates a seven-channel impression from the five-channel configuration. The ES line models support the ihiji cloud network and are compatible with most modern controllers, including Crestron Connected. 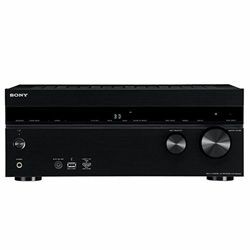 The receivers have three powerful digital signal processors, which, according to the company, reduce noise and improve sound. For the same purpose, new transformers with power supplies and "audiophile resistors" serve. Each receiver can simultaneously play 4K video and multi-channel audio in two different zones. 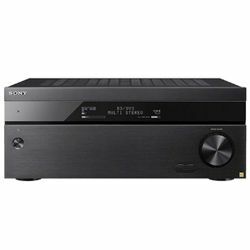 For the models of this line, two surround decoders - Dolby Atmos and DTS: X - are added. Sound and again the sound! 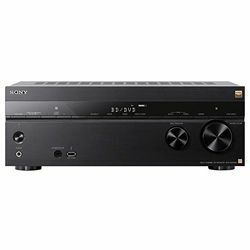 These receivers for music. They are equally great to play music from all sources and in all sound fields. In this case, the sound quality does not deteriorate from the equalizer adjustment. The tuner is very sensitive and has a remarkably mesmerizing sound. The through-video mode for HDMI allows you to watch a picture from one source, and the sound from the other (to connect an equalizer or other sound processing equipment). Picture is pleased. Colors are very natural with high definition. 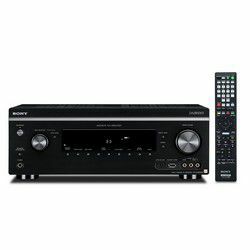 You can compare appearance of Sony STR-DH750 with the appearance of a typical AV-receiver without frills. After all, the view should attract the TV, and the AV-receiver must be heard, but not visible. Devices from this lineup support a wide range of audio formats. Unfortunately there is no upscaling video up to 4K format, but with HD video format everything is in order. With a rated power of 145 W x 7, the strong model STR-DH transmits enough energy to "tear and crash". It can also transfer 4K content from sources such as Netflix or Amazon Prime, but it does not have the function of upscaling their HD format to the 4K standard. 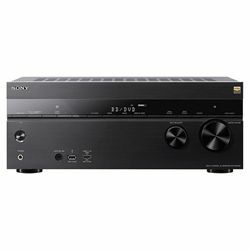 In this consumer lineup, Sony offers AV receivers with a consistently growing list of features and price. 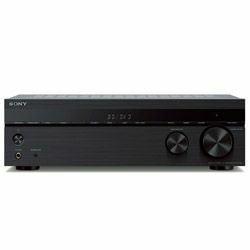 For example, if you do not need 7.2 channels, you can buy a less advanced 5.2-channel receiver. The Japanese manufacturer of home electronics Sony began its glorious path back in 1946. At that time, the future giant was engaged in the production and repair of radio receivers. Ten years later, the company released the first tape recorder. Universal recognition of the Japanese deserved after entering the international arena. 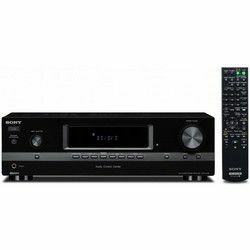 Among the most popular products produced by Sony, were TVs, tape recorders, CD players, DVD players, AV receivers and speakers. Perhaps the main zest of the corporation Sony is the introduction everywhere of its formats. It must be as unique as the company.